Hauwa is the focal person in charge of organizing the day-to-day running of the team as well as general programme coordination, logistics and liaison between the team and the Niger State Government. She is also the Human Resources Manager for the project which includes recruitment of Ad-Hoc Field Staff for the Baseline Educational Survey. In addition, she organizes and facilitates trainings and qualitative research for strategic areas of the programme. Hauwa Oteri is a Business Management Consultant well experienced in Business Development and Strategic Brand Management. 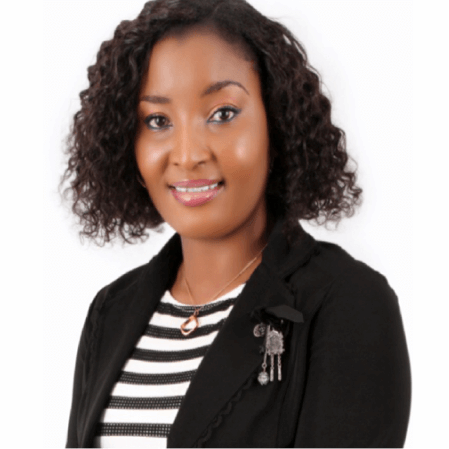 Her previous roles include Consulting Partner/ Head of Marketing and Strategy- GCM Consults Abuja, Faculty Member- Gimel Nigeria Ltd, Oak Business school Lagos, Programme Manager Public-Private Partnerships- National Agency for the Control of AIDS (NACA) Abuja, Public Sector/Consumer Banking- Zenith Bank PLC and Brand Strategist- Partnerships for Marketing, Birmingham United Kingdom. She holds a Master’s Degree with Distinction (International Marketing) from the University of Birmingham, United Kingdom where she received the coveted award for Best Overall Performance from the Business School. She is a member of the Nigerian Institute of Marketing of Nigeria (NIMN, Chartered), Nigerian Institute for Management as well as the Project Management Institute and Chartered Institute of Marketing, United Kingdom respectively (in view).